News 25/10/2018 by "Nick Macleay"
All across the world, the telco and tech industries are aflutter with the anticipated arrival of 5G technology. Touted as being a game changer for its lightning-fast speeds, and the ability to process an extremely high volume of data messages with minimal delay. It’s no wonder excitement is mounting for the tech to finally reach Aussie soil. So far we know it’s fast, and it’s due to drop in Australia sometime in 2019. To really understand what 5G technology means for Australians, we should take a look back before we look forward. All of us with smartphones (which is all of us, I guess), will have seen the 3G, 4G or 4G LTE text somewhere on your smartphone next to the carrier name. The 4G was an improvement on the 3G, the 4G LTE was an improvement on the 4G, and now we have the much awaited 5G promising to put the 4G to shame and thrust us into the future. Quite simply, the “G” stands for Generation, as in the next generation of wireless technologies, and each generation is supposedly faster, more secure and more reliable. The third generation (3G) of wireless mobile telecommunications technology set the standards for most of the wireless technology we have come to know and love; internet access, video calling, email, picture sharing and other Smartphone technology was introduced in the third generation. 4G succeeded 3G providing the speed of at least 100 Megabits per second and up to 1 Gigabit per second, allowing for gaming services, high-definition mobile TV, video conferencing, and 3D television. Consider how attached you are to Uber and making online purchases from your mobile phone. The capabilities that we think of as basics today were unimaginable in the pre-4G world. Imagine what can come from the 5G world. The transition from 4G to 5G technology will serve both consumers and multiple industries. With capable download speeds of up to 20Gbps, and the ability to process an extremely high volume of data messages at speeds as low as one millisecond, 5G in Australia promises to enable the creation of the most responsive programs, platforms, and products in history. Understanding how dramatic the shift was from 3G to 4G, and what speeds are required for some of the most talked about innovations of today, 5G is being lauded as the technology that will catapult us into the real technology age. It is predicted that self-driving cars, doctors performing remote surgery, and smart cities where emergency vehicles, traffic lights, and public transport can communicate with no lag time, are all near on the horizon. All of which require this lightning-fast technology, as every extra millisecond is essential to preventing accidents or saving lives. On the less life-threatening side, we can also expect to see 5G dramatically change the possibilities for virtual and augmented reality with zero glitches or delays, creating a truly immersive experience. This, of course, will not just be limited to our smartphones. Thanks to the rise in IoT, we can expect to see these technologies go mainstream, being fitted into our eyeglasses and likely even our home appliances. 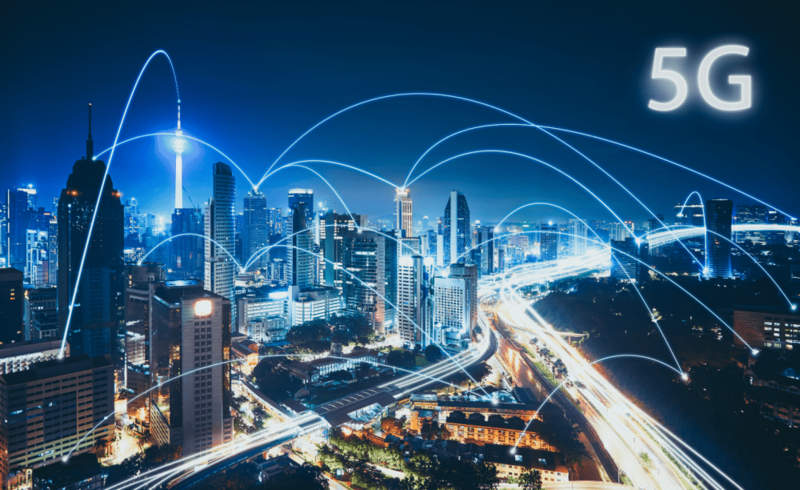 For Australia, where we have notoriously poor networks in rural areas, 5G presents an opportunity for these communities to finally be reliably connected. 5G will also open up jobs, drive growth and improve their access to emergency services. It can help our industries overcome some of their biggest pain points. This is particularly the case in agriculture where 5G can improve the accuracy of precision farming and crop yields. It can improve connectivity between different pieces of equipment and supply chain tracking (for example, livestock, warehouses, vehicles and crops). Furthermore, 5G will enable autonomous vehicles performing tasks in the field (such as harvesting) and predictive maintenance for farming equipment based on analysis of data from sensors. In-field AR support for e-learning and expert advice in remote areas, and optimising agriculture logistics chains with sensors, tracking, and analytics are also improved by 5G. If you’re wondering how to best prepare for the introduction of 5G technology, whether as a candidate looking to secure the best opportunity, or a business looking to get the right candidates to help your telecommunications transition, give me a call today.